在 VMware ESXi 上安装 Minix. 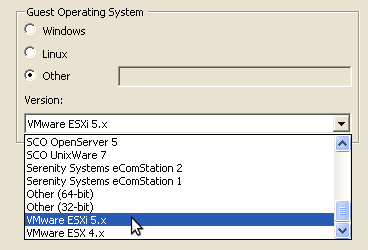 在 VMware ESXi 虚拟机上运行不同的 Hypervisor 可以看看 VMware 的 Running Nested VMs. 限制挺多的，比如免费 VMware ESXi 5.0 上跑的虚拟机最多可以分配 8 CPU cores. 对 host 最多支持 160 CPU cores，对 guest 最多支持 8 VCPUs.